In this episode, I interview Joel Comm, a live video expert. He’s the author of the books Live Video Revolution, Twitter Power 3.0, and many others. He’s the co-host of The Bad Crypto Podcast, which is rising in the iTunes ranks. Joel explains how social media marketers can take advantage of live 360-degree video and VR. You’ll learn about consumer-friendly equipment for sharing 360 video and VR experiences. 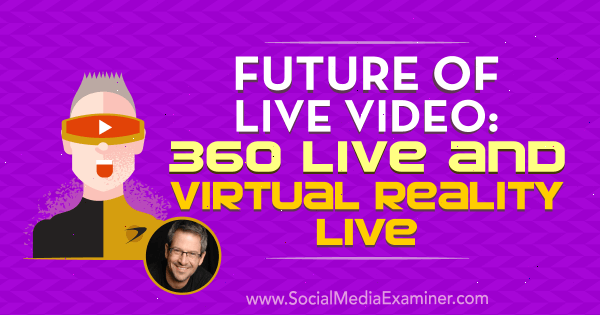 Future of Live Video: 360 Live and Virtual Reality Live featuring insights from Joel Comm on the Social Media Marketing Podcast. A 360-degree video is shot with a camera that captures a 360-degree view. A 360-degree camera may have a lens on the top that captures everything all around it. Other 360-degree cameras have lenses on two sides that capture everything top to bottom, left to right, and then stitch together all the images. A 360-degree view makes videos completely immersive. The viewer can see everything within the range of the camera, whereas traditional video is limited to wherever the camera is pointing. Because 360-degree video brings people into an experience just as if they’re there, this type of video is a powerful storytelling tool. Also, people find it empowering to control where they’re looking. People can swipe around with a finger on a mobile device or click around with their mouse via desktop to look in any direction. A live 360-degree video is broadcast through live video apps including Facebook, YouTube, and Periscope that have adopted 360-degree video. 360-degree video has all sorts of applications. Joel has seen people in the travel industry, or just traveling, using 360 live. For example, viewers can experience being in St. Mark’s Square in Venice, on a surfboard on the ocean, or in a museum. They’re able to look around and see what the broadcaster is experiencing. The travel realm will be a huge arena for live 360. There’s a reason Mt Bachelor is a playground for all winter enthusiasts. Just take a look around. Also, realtors use 360 video to show off homes, apartments, and business spaces to give people a virtual tour of a property that’s for sale without actually going to the location. Prospective buyers can click around, look at a house, and imagine where their furniture might go. As part of a home tour, you might walk through the back door into the backyard so that the viewer can click around to see how it looks. Last spring, Joel shared a live 360 video from the Denver Zoo. A baby giraffe was at the zoo, and people are always interested in baby giraffes. Joel shared his experience through his Insta360 Nano camera, which plugs into his iPhone and turns it into a 360-degree camera. Joel went live on Periscope, broadcasting the baby and adult giraffes. Viewers loved being able to have that experience with him. Plus, live video allows you to interact with the live audience, which makes the video much more personal. Indeed, the benefit of live is to engage with your audience and build a relationship. For instance, a viewer might ask Joel, “What’s that over there?” Then Joel will walk closer to whatever interests that viewer so they can get a closer look. Listen to the show to learn how Joel responds to a 360-degree travel video. Be aware that 360-degree video can be a data and battery hog. Before you go out to film a 360-degree video, make sure your phone and camera are fully charged, and bring additional battery packs for both your phone and your camera. 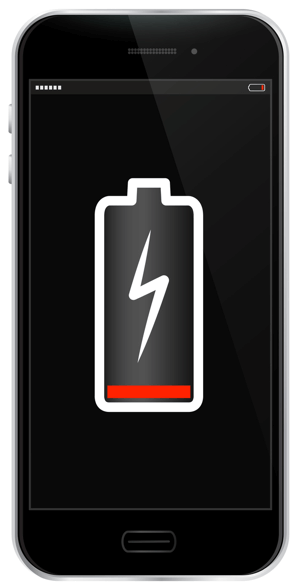 Joel has been able to record about 25-30 minutes before the battery on his phone or camera loses its charge. Broadcasting in 360 uses up a lot of battery power and bandwidth. If you’re sharing a 360-degree video live, bandwidth is also an issue. If your cellular service limits your bandwidth, you can experience streaming issues after you stream 5-10 GB and your provider begins throttling your bandwidth. It’s better to stream live 360 on Wi-Fi with a really good connection, if you have that capability. Some 360-degree cameras are designed only for the iPhone, others are made only for the USB on Android, and some are cross-compatible. Joel uses the Insta360 Nano camera, which is $199 and works only on iOS devices. To use the Insta360 Nano, take the case off your iPhone, turn it over, and plug the camera into the Lightning port on the bottom (the one you use to charge the iPhone). Insta360 Nano comes with an application that launches automatically when you plug the camera into your phone. The app launches upside down, so it’s appropriately oriented. With the Insta360 Nano, you can take still photos, record video, or broadcast live via Facebook Live, YouTube, or Periscope. For example, launch your Facebook Live within the app that comes with the camera and your live 360 video posts to Facebook. Viewer comments work the same as going live any other way. I ask about resolution and the difference between 1080p and 4K resolution. The 1080p resolution cameras stretch a 1080p image to create a 360-degree image, so the image has a lower resolution than a 4K image but doesn’t look as good. Also, even if the 1080p camera is high-definition, the image won’t be high-definition everywhere you look. A 4K image is higher quality than 1080p but also uses more data. Joel also says that it’s one thing to record in 4K, and quite another to stream at that high of a resolution. However, Joel predicts the limits will change as bandwidth improves and Google Fiber comes to more areas. Listen to the show to hear Joel describe the experience of using a 360fly with only one camera on top. Joel has been eager for virtual reality to become consumer-friendly, and now it has. Facebook purchased the Oculus technology and, about a year and a half ago, released the Oculus Rift. 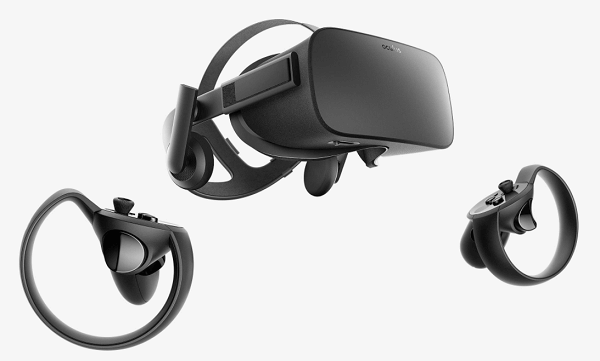 The Rift and its hand controllers used to cost $800 but were recently lowered to $400. Now, both the Rift and the HTC Vive make virtual reality accessible to consumers. Consumer-friendly virtual reality options include Oculus Rift. With a headset, lightweight goggles, and software, people can enjoy 360-degree experiences in virtual reality. When you look into the goggles running virtual reality software, the 360-degree experience makes it feel like you’re actually inside a digital environment. Virtual reality can take you around the world. You can stand in front of the Eiffel Tower, as though you’re there, even though you’re sitting in your living room in Denver, Colorado. You can throw magic spells at a wizard in a graphically rendered, otherworldly place. Most of the available virtual reality experiences aren’t live. The first is Spaces, a live experience Facebook created for Oculus Rift hardware. The idea is to take what makes Facebook so special (the social element) into the VR space. To illustrate, VR avatar Joel can go live on Facebook and see comments in his goggles from people who are engaging with him. Listen to find out how Joel feels about virtual reality. If you have an iPhone or an Android phone, you can experience VR with something as simple as Google Cardboard for $10. Joel recommends going to Amazon to purchase a $20 plastic version instead. Slip your phone into it, launch the app, and away you go. Search for virtual reality on Google Play or the iTunes Store to find downloadable VR apps. Get Google Cardboard or an inexpensive plastic version to use virtual reality on your mobile phone. To use the Oculus Rift, you need a gaming PC and software that creates the VR experience. You’ll find this software in the Oculus Experiences store, just like you find apps for your phone in an app store. The Oculus store has many free and paid experiences to install. When you wear the hand controllers, you see virtual hands in the goggles. As you move your hands, the sensors pick up your hands’ proximity and location. The recently announced stand-alone goggles (Oculus Go) will cost $199. Also, the new Oculus Dash will display a big virtual reality computer screen through your goggles. Joel says that inside Oculus, the responsiveness is there, depending on the application you’re running. Sometimes the experience is just okay. You’re flying over a city and it’s like you’re watching a movie. Other experiences are more breathtaking and immersive. One of Joel’s favorites is a game called The Climb, where you’re a mountain climber. You can see your hands and the game puts you in the Alps. You hold onto the edge of this mountain, look down, and see hundreds of feet below you. There are animations of birds and planes flying by. You’re climbing into the canyons. Multiplayer games are also available. For instance, with the right application, you can play Frisbee golf with a friend. You can also play chess with people. You sit at the table together in VR and have a conversation while you play, using the microphone on your computer that you connect to Oculus. Listen to the show to hear what Joel thinks about the recently announced Oculus Go. Facebook Spaces creates a virtual space where you can interact with up to four people. To start using Facebook Spaces, you first set up an avatar. You grab a profile picture and drag it onto a palette. 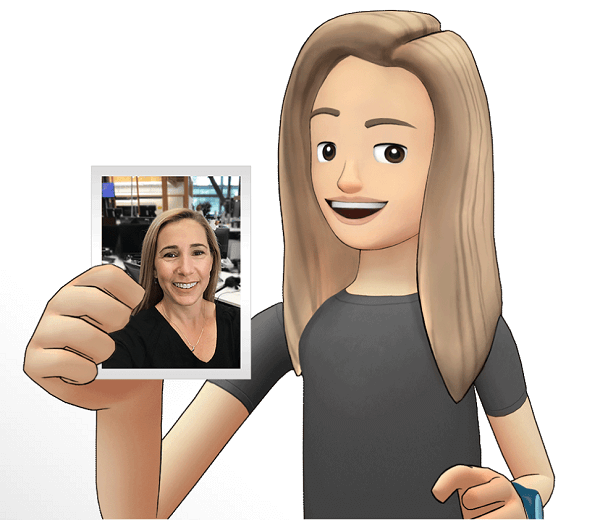 Then, Facebook Spaces attempts to render a cartoon version of you from the waist up. You can customize the avatar, too. You may change your hair, eyes, nose, and mouth. You can make yourself look however you want, but the avatar-builder tries to give a close approximation of your profile picture. Facebook takes your profile picture and guides you through turning it into an avatar. Once you’re in Facebook Spaces, your avatar appears in front of a table that acts as the interface for the activity you want to do. You have tools such as a little color palette and a pencil for drawing in this virtual space. There’s a selfie stick you can grab to take pictures with the friends in the space with you. Spaces can also display 360-degree video. Go to your or one of your friend’s timelines, grab a 360 video or photo, and drop it in the middle of the table. For example, if you grab a 360-degree photo standing at the base of the Eiffel Tower and drop the photo into the middle of the table, your entire environment becomes that place at the base of the Eiffel Tower. To go live on Facebook from Spaces, tap the button on your virtual wrist. The experience you’re having by yourself or with a friend is then broadcast to Facebook Live. In Spaces on Facebook Live, wherever you turn your head is what people will see on Facebook Live. When you use Facebook Messenger from Spaces, you can make a video call. When the person opens your video call on Messenger, they see your avatar in Spaces. Messenger won’t use your camera. The call is actually from Spaces. Facebook Spaces keeps adding tools that make it more interactive and engaging for people. It’s really a lot of fun. Yes, it’s a novelty now, but Joel sees it having practical applications to connect with friends in 360. Listen to the show to hear how Joel might plan a trip to Prague from Facebook Spaces. Joel thinks virtual reality glasses will get smaller, just as the boombox transitioned to a tiny little iPod and large pull-out televisions turned to thin plasma and LED screens. As technology advances, prices tend to get lower, too. To be fully immersed in virtual reality, you need to close off any light from the outside world. So even glasses in the future will need to have side blinders that block any light. Virtual reality has been tried before, Joel continues. When his kids were little, Nintendo came out with the Virtual Boy. It was modeled after a Game Boy, and was a very primitive, early stage VR unit designed to run select Nintendo games. Virtual Boy appeared much too soon and didn’t get traction. However, virtual reality is very accessible these days. If you have the HTC Vive, you need a PlayStation 4 or a computer. For an Oculus, you need a high-end PC. To find out if your PC is ready for VR, go to the Rift page on Oculus.com, scroll down, and then download software that will test your computer. 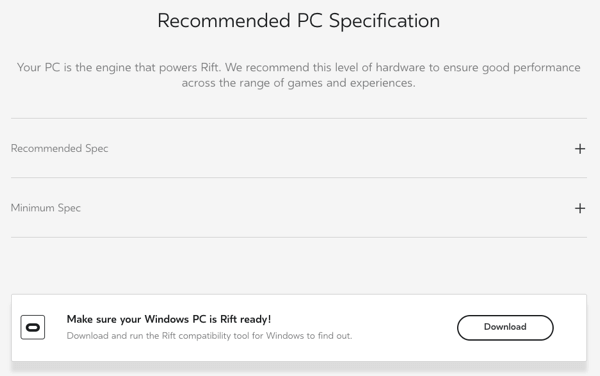 Go to the Rift page on Oculus.com to see if your computer is compatible. The future is 360-degree video and the immersive experience. Get ready by going live. Facebook and Twitter make it easy. Go to the app, type in what you’re going to talk about, push the Live button, and the world is your audience. Then it’s up to you to share your knowledge and information, inspire or motivate, entertain, and if all else fails, bring people into an experience. Share where you are, whom you’re with, and what you’re doing. If what you’re doing is interesting enough to you that you want to share it with people, then people will go on that journey with you. Don’t be afraid of the camera or to try live video. The camera loves you, and it loves your stories. And your friends, fans, and followers want to know more about what you have to say and what you want to show them. Listen to the show to hear more about Joel’s The Bad Crypto Podcast. 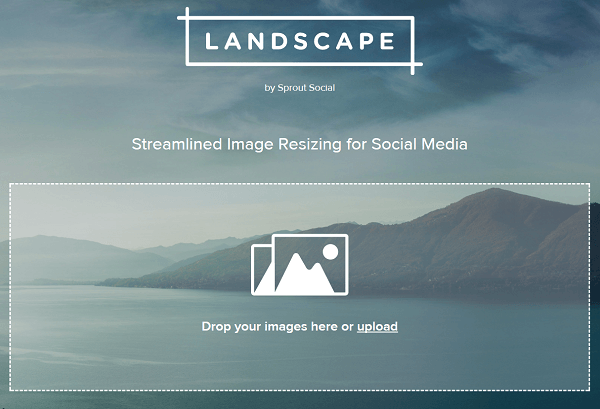 Landscape by Sprout Social helps you crop or resize your images. Listen to the show to learn more and let us know how Landscape works for you. Learn more about Joel on his website. Read Live Video Revolution and Twitter Power 3.0. Get Joel’s free Live Video Playbook. Follow @JoelComm on Facebook, Twitter, and Instagram. Listen to The Bad Crypto Podcast. Check out the Insta360 Nano, 360fly, Ricoh Theta S, and Samsung’s Gear 360, as well as 360 cameras from LG, Kodak, and Nikon. Learn more about 360 cameras at 360videocamera.org. Read about Facebook’s purchase of Oculus technology and background of the Oculus Rift. Explore the Rift and the HTC Vive. Watch a video demo of Facebook Spaces. 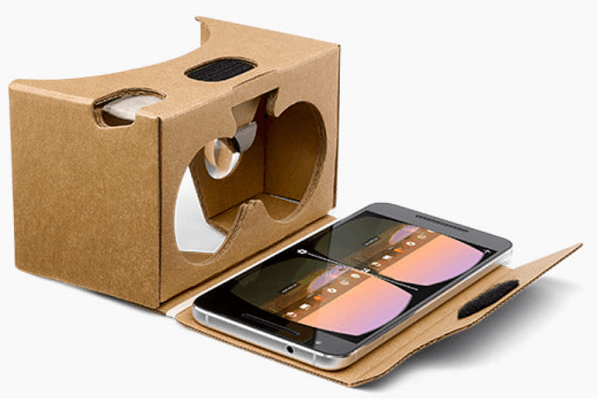 Take a look at Google Cardboard. Learn more about Oculus Go and Oculus Dash. Take a look at The Climb and watch the video. Size and crop social media images with Landscape. What do you think? What are your thoughts on the future of live video? Please leave your comments below.